The daughter of my best friend in high school recently had a sweet baby boy - wow...how in the world did all those years go by? I still remember holding her the day she was born. It seems like just yesterday but I guess that time does have a tendency to rush by when you aren't watching. I made her a mini album to capture his first year and in all the work of the album I almost forgot to make a card to go with it! I recently ordered some new stamps from Close To My Heart. 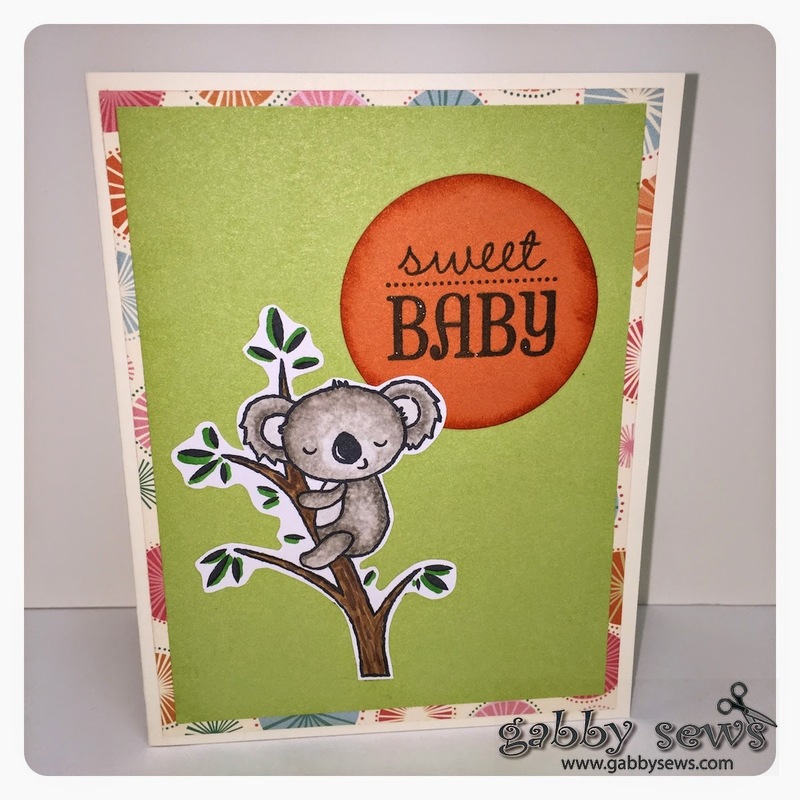 There was a perfect one in the bunch - D1642 Cute Koalas - that turned into an adorable card. This particular set is not in the current catalog but if you click on the link above you can order it on my website. I used a new paper line that just became available on December 1st called Hopscotch. The sentiment is from the Just to Say stamp collection that comes with the Artfully Sent Cricut Cartridge. I love this set - it has a sentiment for every occasion. I stamped the front image and sentiment in Momento Tuxedo Black and the inside in Autumn Terracotta. I also outlined Baby with my clear Wink of Stella brush pen.